We’ve known for a while that Jeep had a Wrangler-based pickup truck coming. Thanks to spy shots and renderings, we even had a pretty good idea of what it would look like. So when we heard the truck would be revealed at the Los Angeles auto show later this month, we were excited to finally see the real truck. But thanks to these leaked images, it looks like we don’t have to wait any longer. 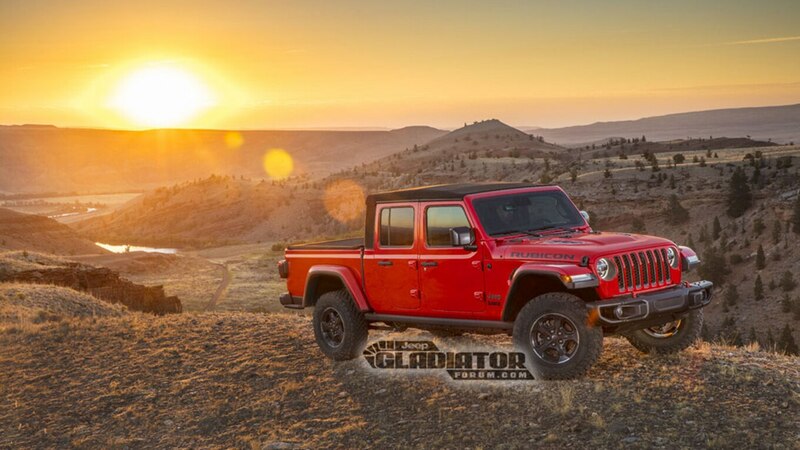 Today, Jeep Gladiator Forum (formerly Jeep Scrambler Forum) posted what appear to be five official press photos of the Wrangler-based pickup truck. 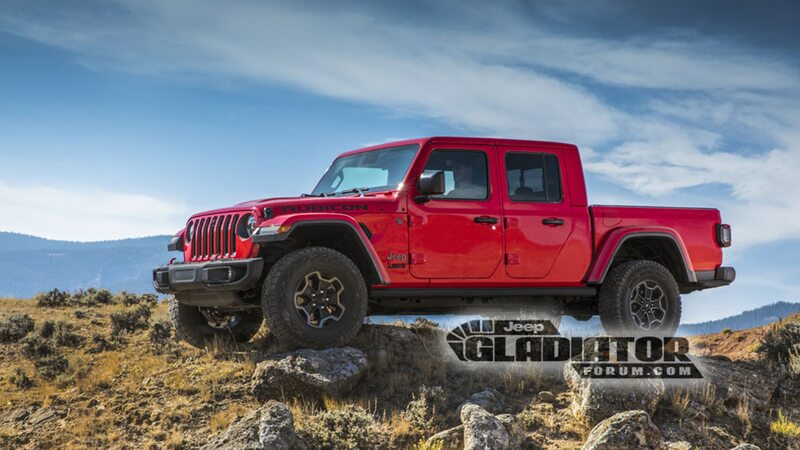 According to the user who posted them, they were taken “straight from the FCA media site before it was removed.” Assuming they’re real, they also confirm the rumor that the truck will be called the Gladiator, not the Scrambler. Compared to these photos, the renderings we previously posted look pretty dead-on. The tailgate says “Jeep” instead of “Scrambler,” and the taillights are boxier, but those are really the only significant differences. Then again, it wasn’t all that hard to guess that a Wrangler-based pickup truck would look like a Wrangler with a truck bed. That was kind of obvious. 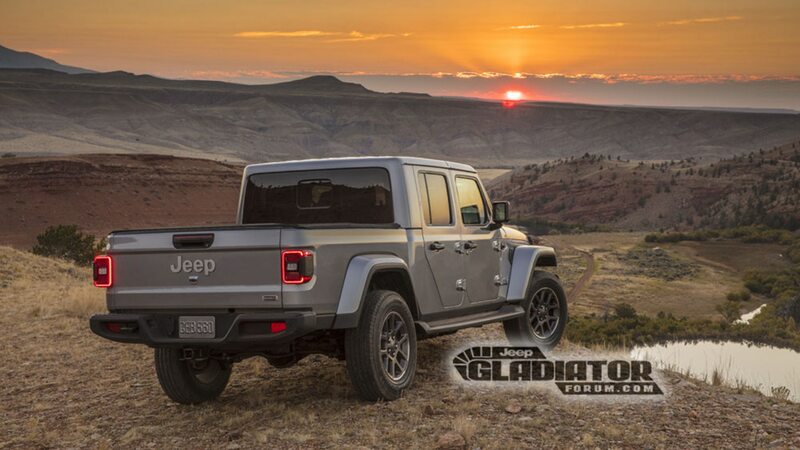 The user who posted the photos also claims to have found a short spec sheet for the Gladiator. 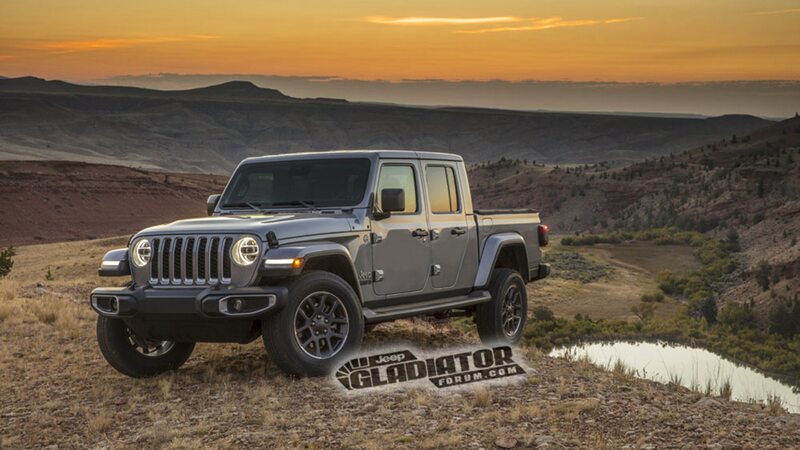 Again, assuming this information is accurate, the Gladiator will be offered with either a 3.6-liter gas V-6 or a 3.0-liter turbodiesel V-6. You’ll also have your choice of an eight-speed automatic or a six-speed manual transmission, although you won’t be able to get the diesel with the manual. Expect the diesel version to come with a 1,600-pound payload rating and a 7,650-pound tow rating when it goes on sale in 2020. 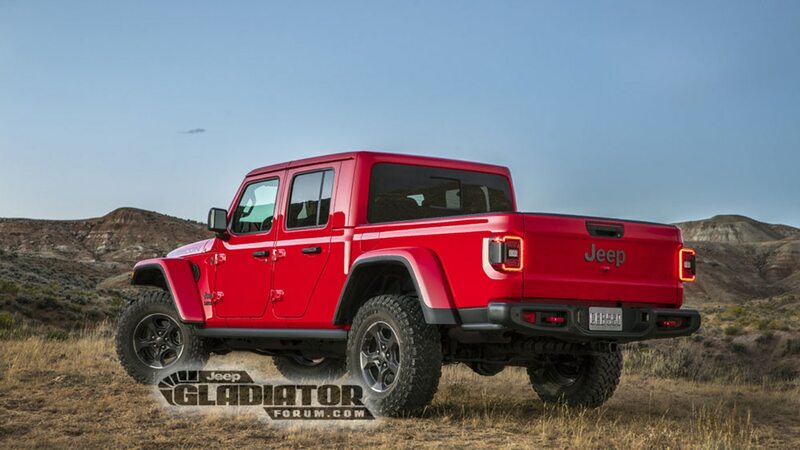 The release also promises “unmatched crawl ratios,” the ability to ford up to 30 inches of water, Dana 44 axles, front and rear locking differentials, a limited-slip differential, a sway bar that disconnects electronically, and 33-inch off-road tires. The crew cab truck is said to get a 5-foot bed, a folding windshield, a soft top, and two hard-top options. We reached out to Jeep to see if anyone could confirm the authenticity of these images or the accuracy of the information. Unfortunately, Jeep declined to comment, so we’ll have to wait until the official reveal at the L.A. auto show to find out for sure.